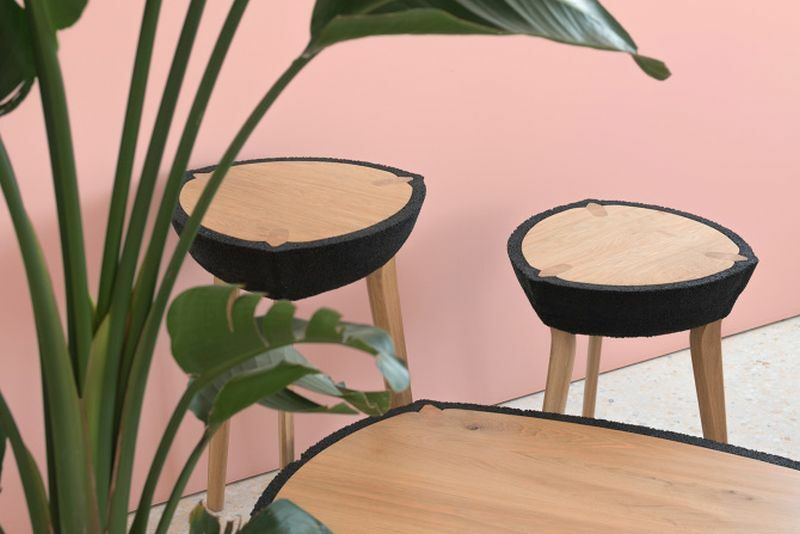 With the idea to utilize recycled rubber in furniture design, the UAE-based architect and designer Ammar Kalo has created four one-of-a-kind tables. 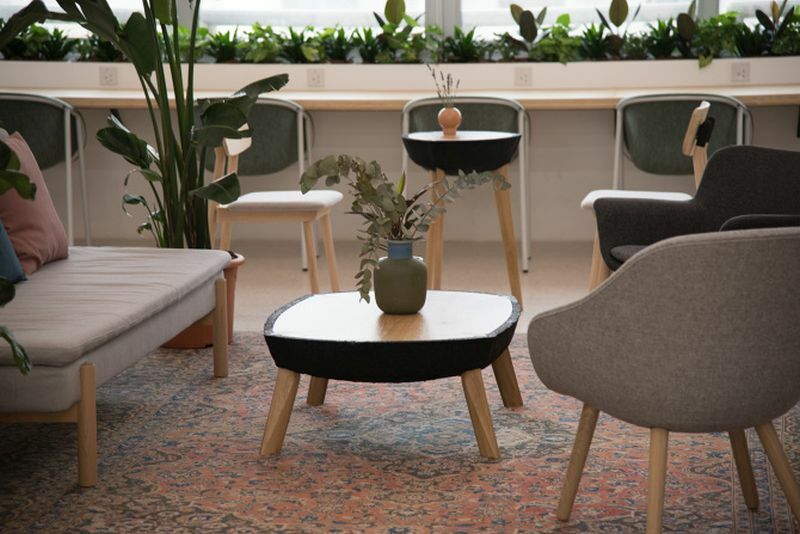 These designer tables are commissioned by Fikra; a design studio, co-working space, cafe, gallery, and design library based in Sharjah, United Arab Emirates. 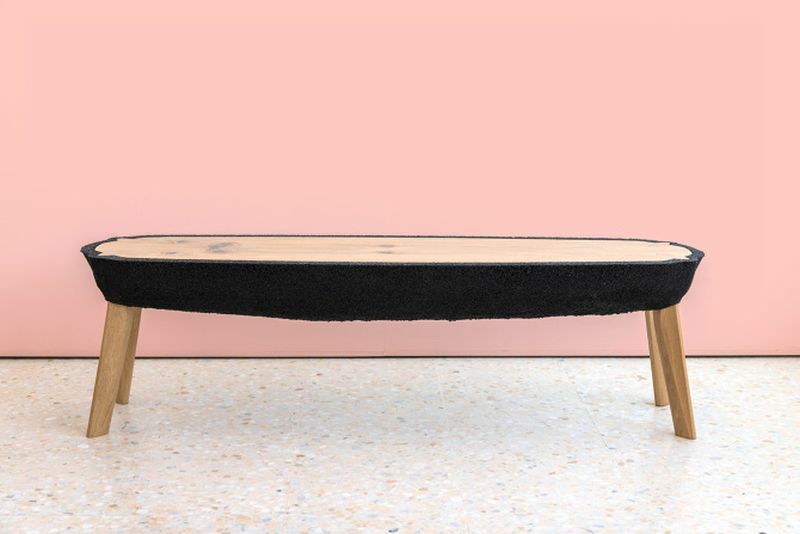 Each table features a solid white oak wood tabletop, cerused with pink paint and finished with a covering of black recycled rubber crumbs. 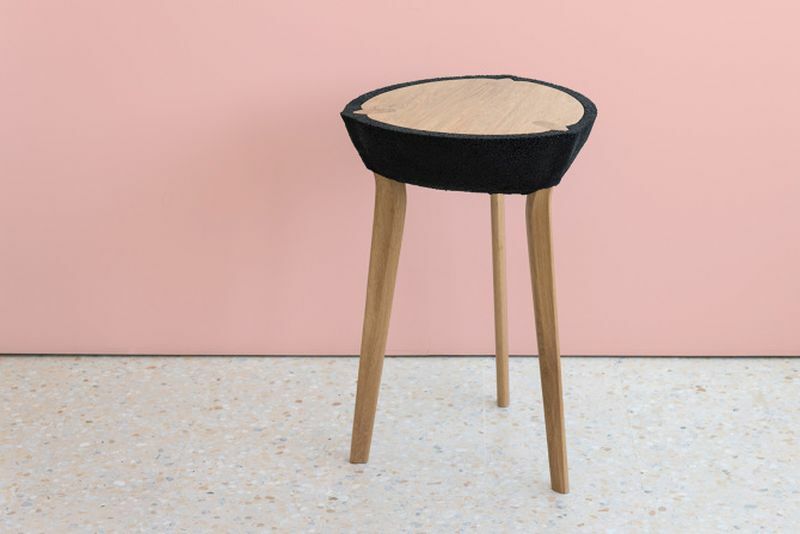 Standing on contrasting thin legs, the Fikra tables have a top that seems to be neatly sliced off for a smooth finish. 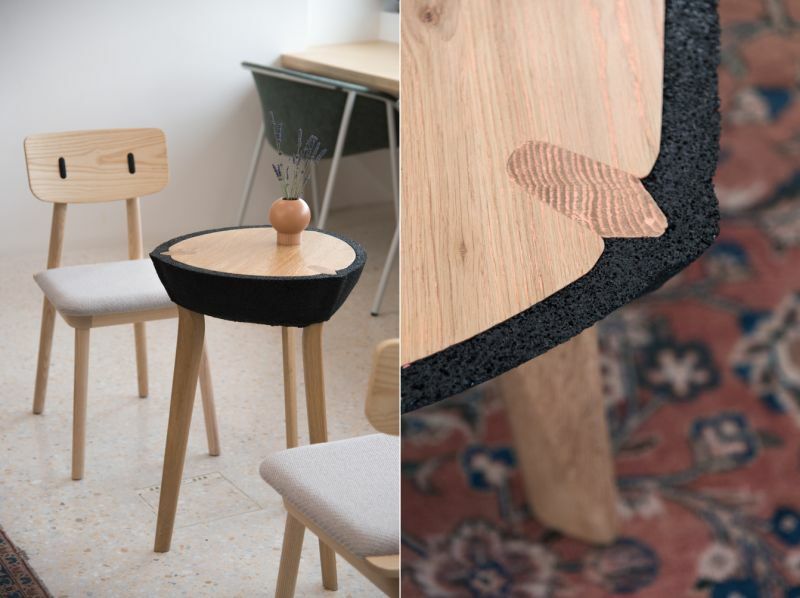 The cross-section of legs nestled in between the tabletop surface and rubber exterior is visible on the tabletop. 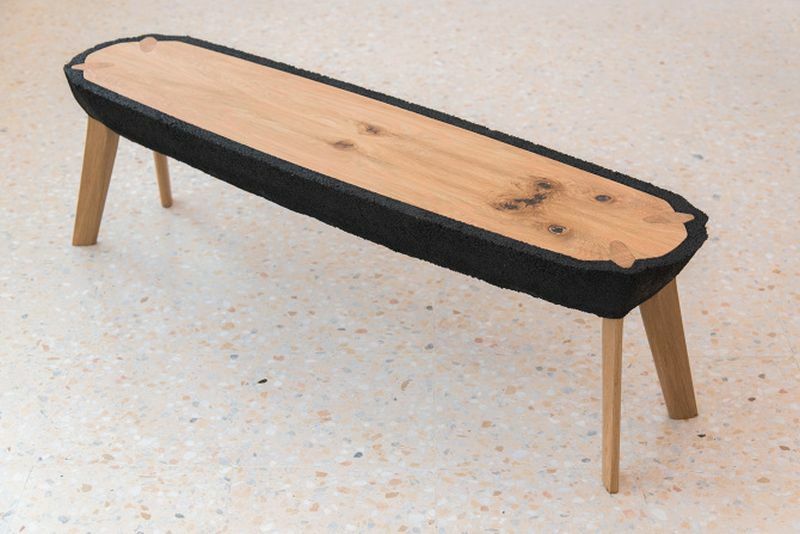 Each table has different dimensions, and are designed for specific spaces. 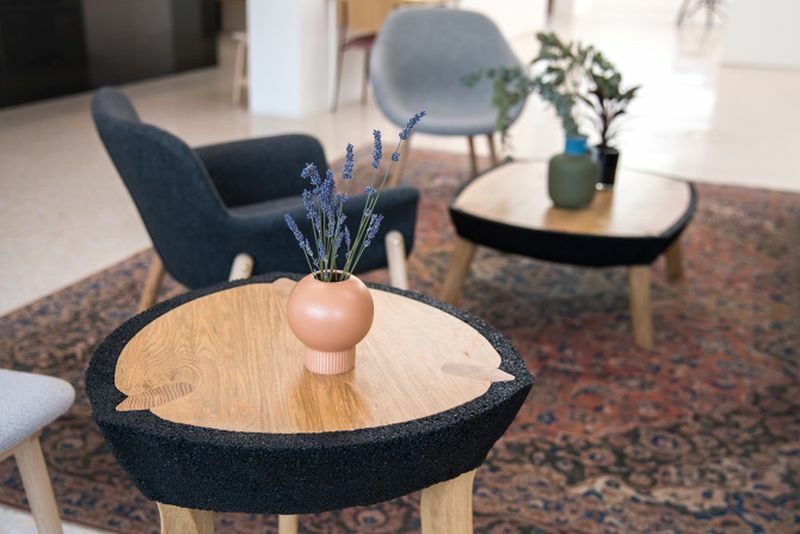 Boasting unique shapes and curves, these wood and rubber tables offer superior finish and durability. In this project, Ammar has tried to create aesthetically pleasing tables that also add wonderful functionality to any living space. 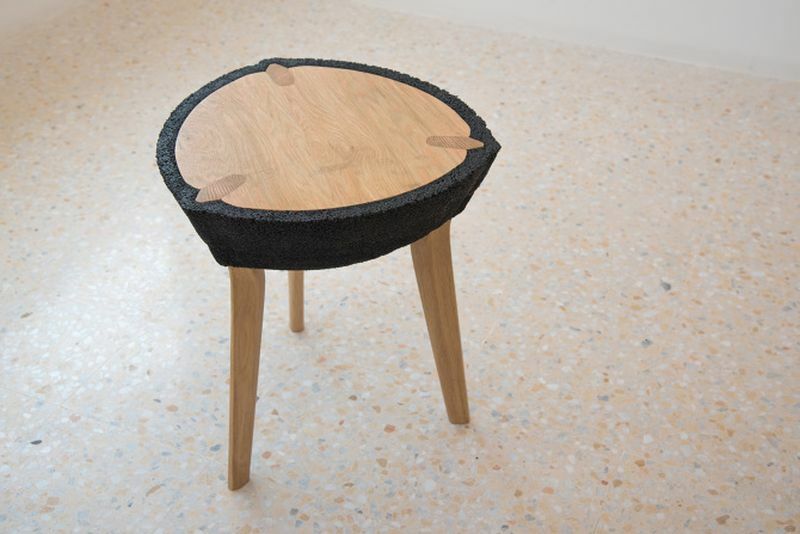 His idea of mixing warm wood tones with rugged textures of recycled rubber is really a cool idea.